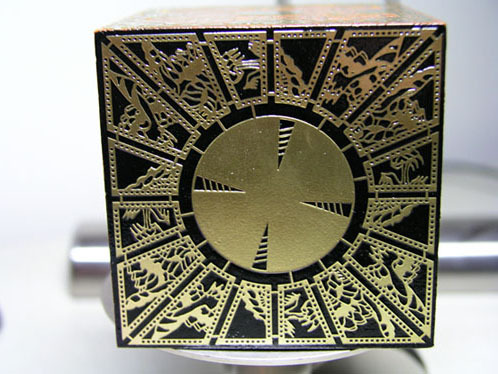 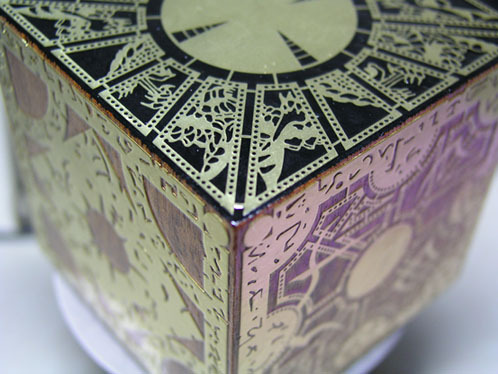 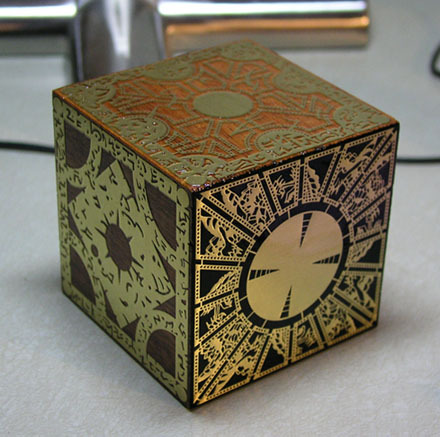 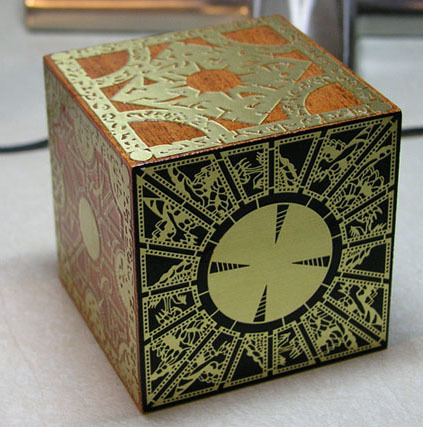 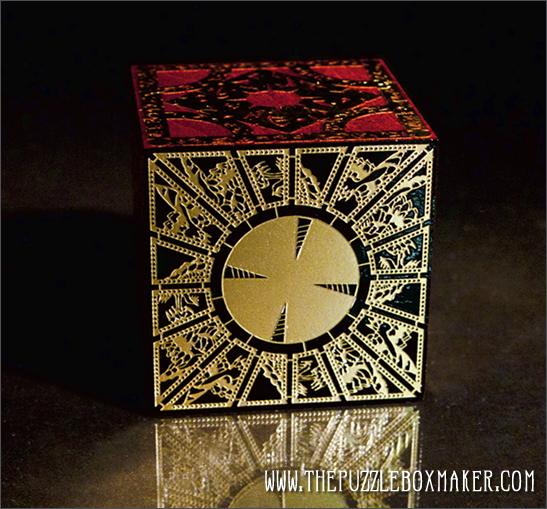 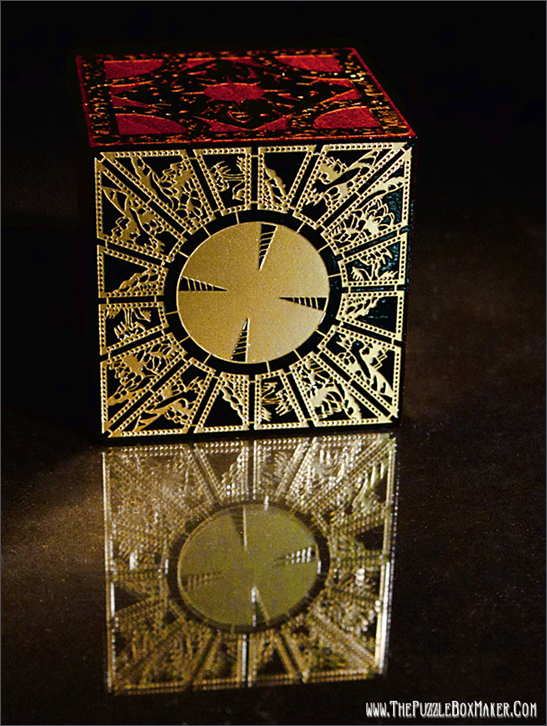 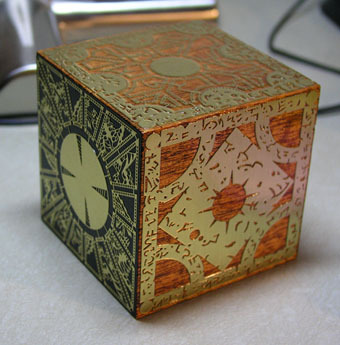 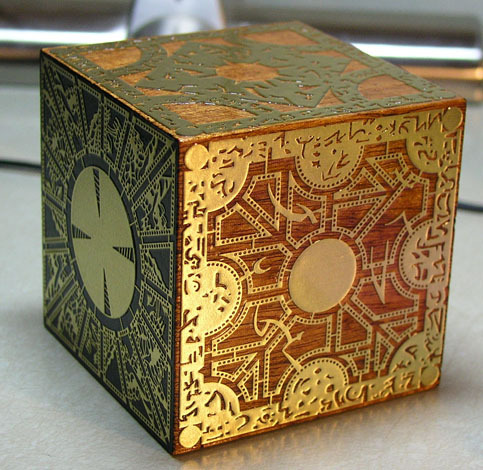 The Hellraiser Puzzle Box is also known as “The Lemarchand Configuration” as well as “The Lament Configuration”. 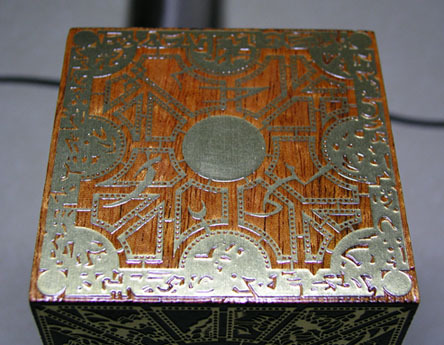 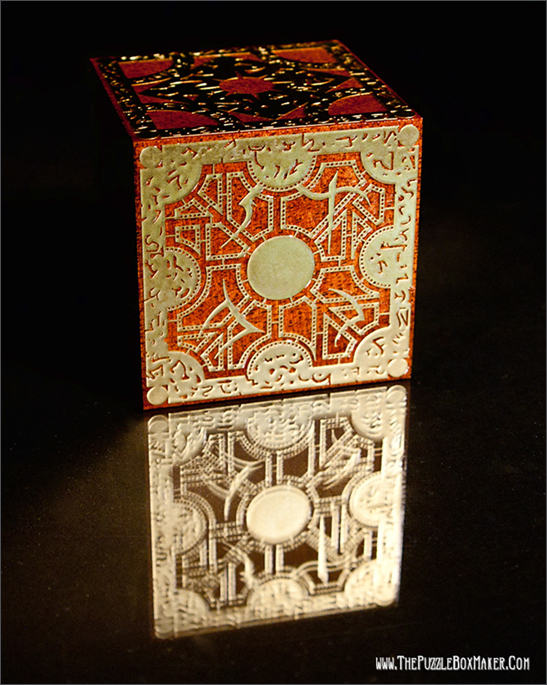 Below are images of the etched brass and mahogany Lament Configuration(or Hellraiser Puzzle Box). 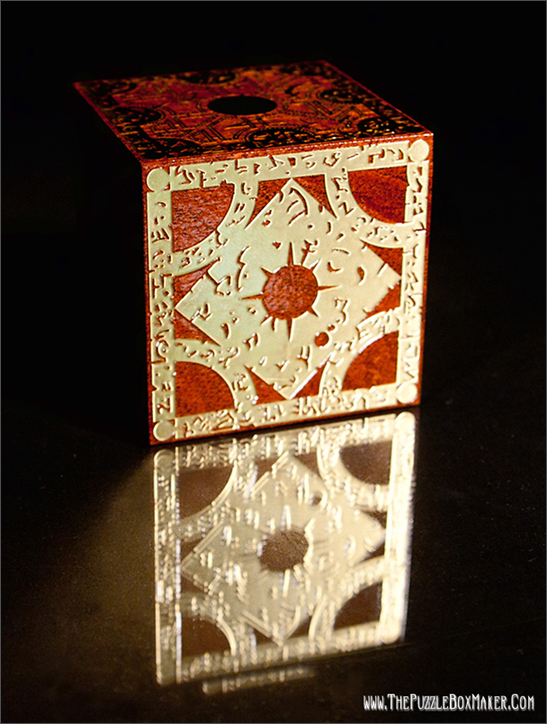 My boxes are meticulously handcrafted following the strict specifications of the original boxes from the movie, Hellraiser. 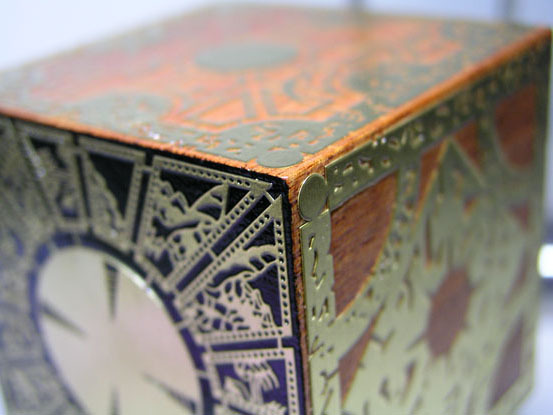 No where else will you find quality of craftsmanship and attention to detail. 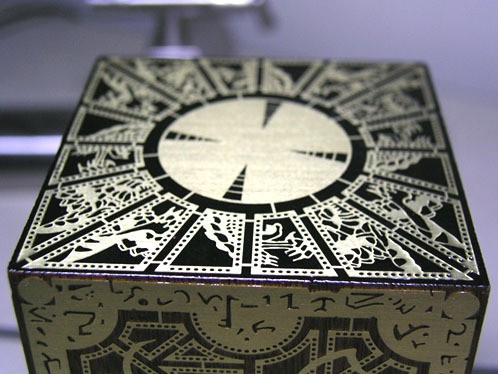 The panels are recreated from the boxes used in the Hellraiser 1 and Hellraiser 2 which were designed by Simon Sayce, the original designer of the boxes. 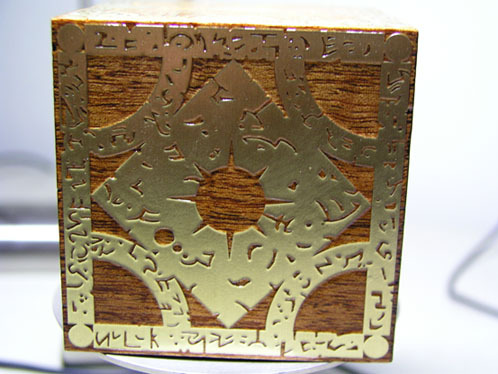 The panels are etched at a professional etching house to assure detail and quality brass panels.